TAPPING ATTACHMENT This patented design easily attaches to any drill press or similar type of rotary machine. Just mount the unit to the spindle and raise the table up to the rubberized feet to eliminate rotation. 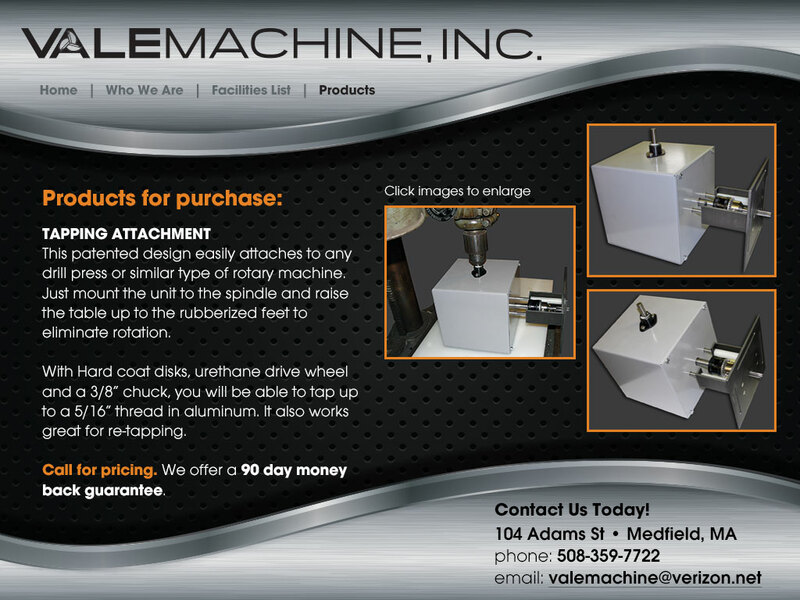 With Hard coat disks, urethane drive wheel and a 3/8” chuck, you will be able to tap up to a 5/16” thread in aluminum. It also works great for re-tapping. Call for pricing. We offer a 90 day money back guarantee.